Spend Memorial Day weekend the right way at the Soundset Festival. Gates open at 11 a.m., but fans start lining up around 6 a.m., so get ready for an early morning! A festival for all ages, Soundset is perfect for every music lover in your family—even the little ones! Acts will range from hip-hop stalwarts such as Tyler, The Creator and Ice-T to Erykah Badu and Wu-Tang Clan. Merchandise can be purchased ahead of time if you’re interested in coming prepared. What better way to celebrate Pride than on a boat? 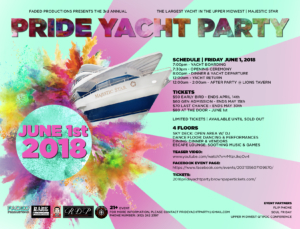 Come to the third annual Pride Yacht Party in Stillwater for live entertainment, dancing, cocktails and more. Hosted by Faded Productions, the Pride Yacht Party will take you on the Majestic Star for a trip along the St. Croix River. Bon voyage! The nonprofit One Heartland will be hosting a special art show fundraiser to raise money for its summer camps catering to GLBT and HIV/AIDS-affected children, Camp True Colors and Camp Heartland. Running from 4-8 p.m., the fundraiser will take place at Jeromeo in the Loop in the North Loop area of Minneapolis, and will feature resplendent artwork by acrylic artist Kenya Verrett and watercolor artist Manish Kalra. If you’re a lover of art or you’re just looking for a fun outing with the family, the Edina Art Fair is a great way to enjoy the summer weather. With various art including paintings, sculptures and even face painting for the kiddos, the art fair is going to be your go-to spot to entertain the kids—and yourself. Food and drinks are also available for purchase. Since 2005, East Central Minnesota has been bringing colorful Pride to Pine City every first Sunday of every June. 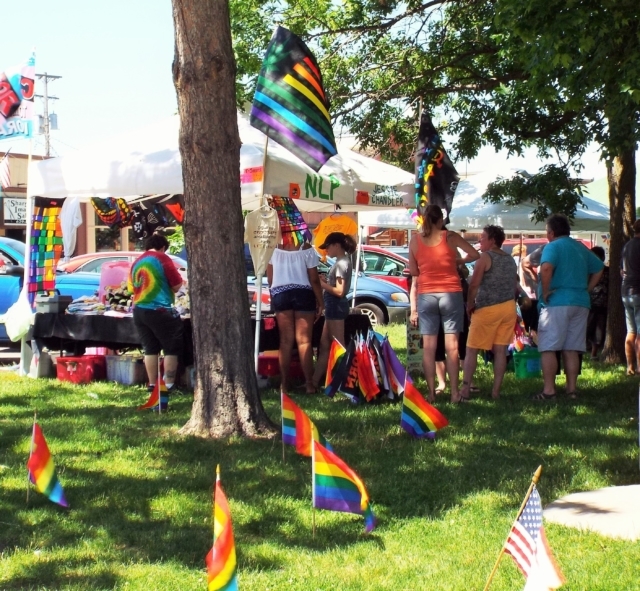 With fun games, activities, entertainment, and, of course, food, East Central Minnesota Pride is perfect for anyone looking to celebrate themselves and have a great time while doing so. Don’t forget to bring the kids! Swing, jazz, and booze. What’s not to like? 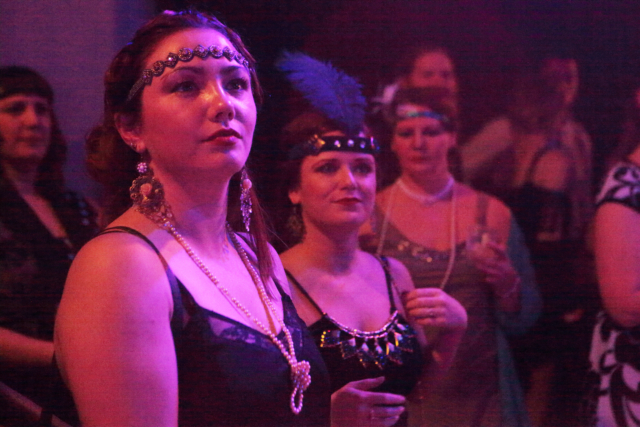 Come to the Hook and Ladder Theater for Prohibition Swing Night featuring beginner dance lessons with DJ Aidan Dunn. You’re encouraged to come dressed in era-appropriate costume, so get creative! Doors open at 7:30 p.m. and beginner dance lessons will be at 8 p.m., followed by music starting at 9 p.m.
From 7 to 10 p.m. on June 13, the Muse Event Center is where you’re going to want to be. BenDeLaCreme from RuPaul’s Drag Race will be taking the stage with her Inferno A-Go-Go event. Fire, fun and rhinestones are a must! Grab your tickets before they’re gone. Two nights in Downtown Minneapolis… free? Yes, please! From sunset to 2 a.m. both nights, you can enjoy this one-of-a-kind art festival while taking in the sights of the city. Fireworks, street art, and live performances will definitely bring your night to life. For a weekend of art and music right on Minneapolis’ beloved riverfront, the Stone Arch Bridge Festival is surely one you’ll want to mark on your calendars. With various art shows, music performances, and car shows, this festival is perfect for the lover of, well, anything! Food and drinks will be provided by some local favorites, too. If you say you don’t love Madonna, you’re lying. Strike a pose and come out to the Union Rooftop for a Madonna Drag Brunch and Costume Contest. The event begins at 10 a.m. with shows at 12:30 p.m. and 3 p.m. Whether you’re a full-time material girl or you just want to be for a couple hours, this brunch will surely be just like a prayer. Whether you’re looking for some good music of beautiful views of the city, the Rock the Garden Festival is known as one of the best music festivals in the city. Come to the Walker Art Center and enjoy the sculptures, the paintings, the music, the beer, the wine, the views… I could go on. Performers for the festival include Feist, Father John Misty, P.O.S. and Chastity Brown. What better way to celebrate Pride Week than An Evening with Alaska? Join Alaska Thunderfuck of RuPaul’s Drag Race for two live singing sets featuring Max, Cee Cee Russell, Genevee Ramona Love, Nocturna Lee Mission, Julia Starr, Sasha Cassadine, Symone Smash It, and Harrie Bradshaw. Come out to Lowertown St. Paul for a weekend of jazz and drinks. With performances by Tia Fuller, Nayo Jones, Aurora Nealand, and many more, this is an event for every jazz lover. If you’re not a jazz lover but your partner is, don’t worry! Just tell yourself you’re coming for the food. After all, there are more food trucks than there are jazz singers! Food, drinks, and live music. Need I say more? Come to the Uptown Food Truck Festival, and you surely won’t leave hungry. Between bites, enjoy some of the live music and performances, activities and games, or craft beers. Perfect for people of all ages, so bring the family! 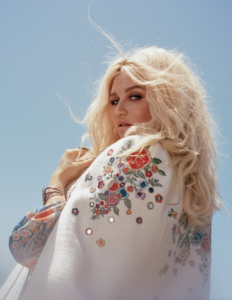 The queen of rainbows herself is coming to the Twin Cities! That’s right, come to Mystic Lake for a night of glitter, love, and, of course, rainbows. General admission tickets only, so make sure you get there early to get a good spot. The Shackletons, Dave Moore, Cornbread Harris, and many more… for only $15-25? Who wouldn’t want to go to that? Come to the Hook and Ladder Theater for the Roots, Rock & Deep Blues Festival this July. Enjoy classic jazz mixed with modern rock and everything in between. Oh, it’s on! Get ready for the ultimate singing smackdown as One Voice Mixed Chorus hosts the Twin Cities Gay Men’s Chorus, Calliope Women’s Chorus, and The Singers- Minnesota Choral Artists in the fourth iteration of the Showtune Showdown. Join guest judges such as Sen. Scott Dibble, Lori Dokken, and host Erin Schwab as the choirs vie for a grand prize of $1,000. The interactive event will also include a raffle, auction, and all the showtunes your heart can handle! With parades, games, and a 5K, Minneapolis’ Aquatennial knows how to do summer. Bring the whole family for a few days of nonstop fun at the Aquatennial. With lawn games, activities, parades, a 5K event, and even a blood drive, the Aquatennial does it all. Whether you’re an athlete yourself, or you’re more of a spectator who’s there for the snacks like me, the X Games are an opportunity you won’t want to miss! From sports like dirt biking, skateboarding, and Moto X, Minneapolis will be showcasing them all. Other events like concerts and game shows will be held throughout the weekend, too. Join some of the world’s greatest rock bands for a night you won’t forget. Sing along to classics like “Pour Some Sugar On Me,” “Don’t Stop Believin’,” and “Faithfully” during what is being called “the tour of the year.” Joined by Cheap Trick, Journey and Def Leppard are sure to bring you a night of nonstop rock. With over 1,000 artists showcasing their performance skills, the MN Fringe Festival is perfect for any and all thespians looking to be surrounded by pure talent. An annual event, the MN Fringe Festival brings budding performers and nuanced actors together to share the stage and exchange helpful tips. Attention: America’s favorite couple is about to take the stage in Minneapolis! Come to the U.S. Bank Stadium on August 8 for a night with the one and only Jay-Z and Beyoncé. Whether you love rap, incredible fashion, or you just want to be in the presence of royalty, this is a concert you’ll want to put at the top of your list. Music, rides, and, of course, Sweet Martha’s Cookies are back for the season! Come out to the MN State Fair for a unique celebration of this great state. Whether you’re looking for a thrill or two on some rides, up-close encounters with some of Minnesota’s native animals, or some tasty food that will leave you full for weeks, the MN State Fair is a great way to send off summer 2018. 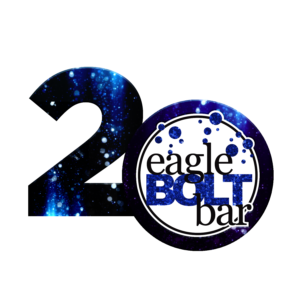 Join one of the Twin Cities’ premier GLBT bars, eagleBOLTbar, as it celebrate its 20th anniversary with a weekend of fabulous revelries. Stop by for great drinks, delicious food, dancing, and more. Here’s to another 20 years!